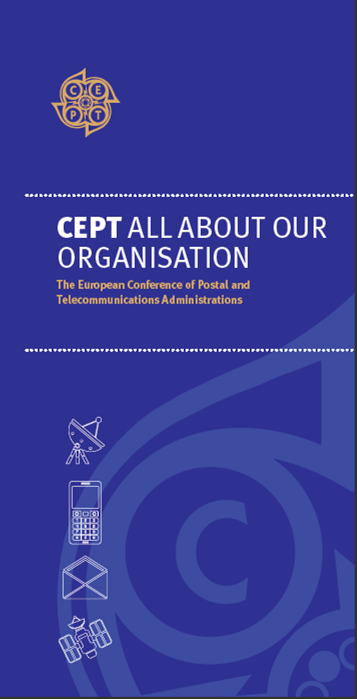 The European Conference of Postal and Telecommunications Administrations - CEPT - was established in 1959 by 19 countries, which expanded to 26 during its first ten years. Original members were the monopoly-holding postal and telecommunications administrations. CEPT's activities included co-operation on commercial, operational, regulatory and technical standardisation issues. Today 48 countries are members of CEPT. You can view this short leaflet about the CEPT by clicking here or on the picture.